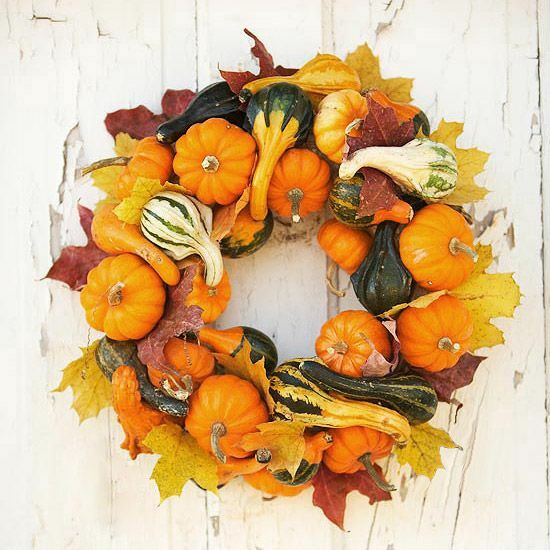 Home > Seasonal Design > Fall > Pumpkins And Gourds, Oh My! 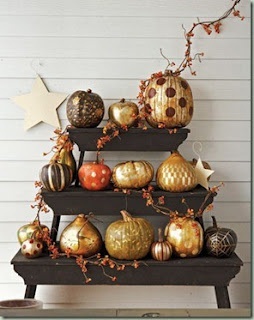 Pumpkins And Gourds, Oh My! Fall is here! 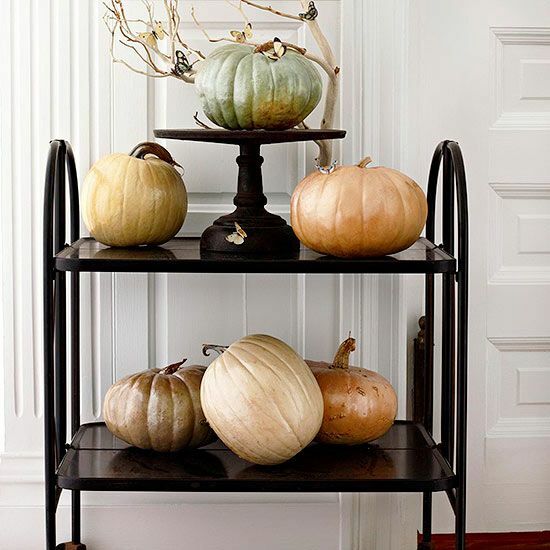 We think pumpkins and gourds are a fun and easy way to add fall inspiration to your décor. Metallic is the trend this season. Get a can of metallic spray paint and go to town. You can use them in a display like this on your front porch, put a few on your fireplace mantle or dining room table as an elegant centerpiece. Who said you have to have the real thing. 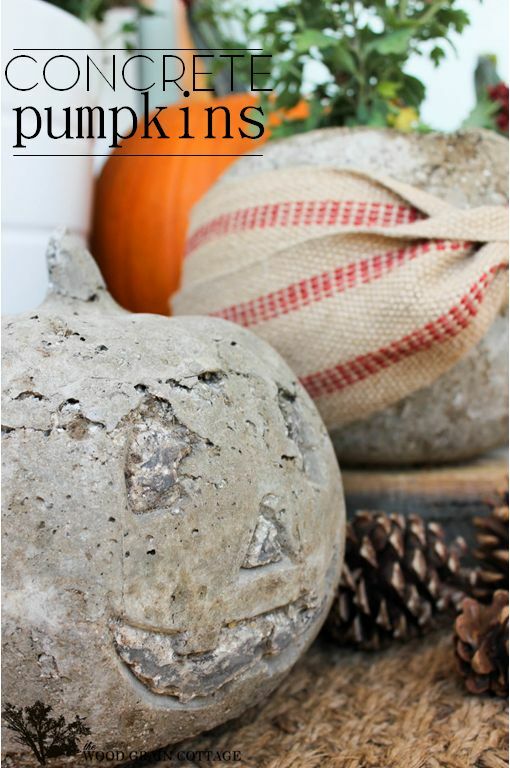 Check out these concrete pumpkins. 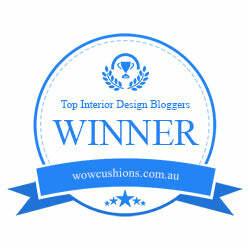 They add different color and texture plus you’ll have them for years! Put them in a wreath! Mini gourds and pumpkins make wonderful fall inspired decor for your front door or fill a glass vase with them – a perfect addition anywhere in your house. Light them up without the messiness of carving. Wrap them in lights and make a fun & festive lighted entryway!